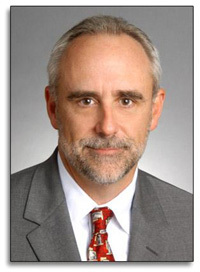 Mr. Daw has experience in virtually all facets of tort, insurance, and commercial litigation. A trial lawyer by trade, Mr. Daw has tried in excess of 150 lawsuits across the State of Texas, in both State and Federal Courts. In 2014, Mr. Daw was selected to be a member of the American Board of Trial Attorneys (ABOTA). Additionally, since 2011, Mr. Daw has been continually selected as a Super Lawyer in the State of Texas. Mr. Daw has been the managing partner of Daw & Ray, LLP since its inception. Under the management of Mr. Daw, Daw & Ray, LLP has grown from a solo practice to a multi-city firm with offices in Houston, San Antonio and McAllen. In addition to practicing law, in 2003, Mr. Daw became an adjunct professor at the University of Houston Law Center teaching Trial Advocacy. In 2011, Mr. Daw assumed the responsibility of lead adjunct over the Trial Advocacy class, which each semester engages 12 to 15 local attorneys and judges to participate in teaching the class. In 2013, Mr. Daw also began teaching Deposition at the University of Houston Law Center. Mr. Daw primarily defends major corporations, oil field service companies, commercial premise owners, apartment complex owners and their management companies, commercial trucking companies, bars and restaurants, and various professionals, as well as insurance companies directly. Mr. Daw has defended and tried cases across Texas including single and multiple deaths and serious personal injury cases arising from apartment fires, drownings, all aspects of premises liability from slip and falls to violent crime, commercial trucking accidents, tire related issues, and oilfield and refinery accidents. Mr. Daw also has ventured outside the “normal defense case” as is evident by his serving as counsel representing a psychotherapist accused of implanting false memories of childhood satanic ritualistic abuse into the minds of her patients. A two-week trial produced a defense verdict. The Houston Chronicle reported this was the first defense verdict in a false memory case recorded nationwide and in 1999, the National Law Journal named that result as one of the top 15 defense verdicts of 1998.